Davora Ltd is a specialist Greeting Card publisher specialising in Ethnic greeting cards. They are the supplier of choice for many large supermarkets, high street greeting card chains and hundreds of independent card and gift shops around the country. 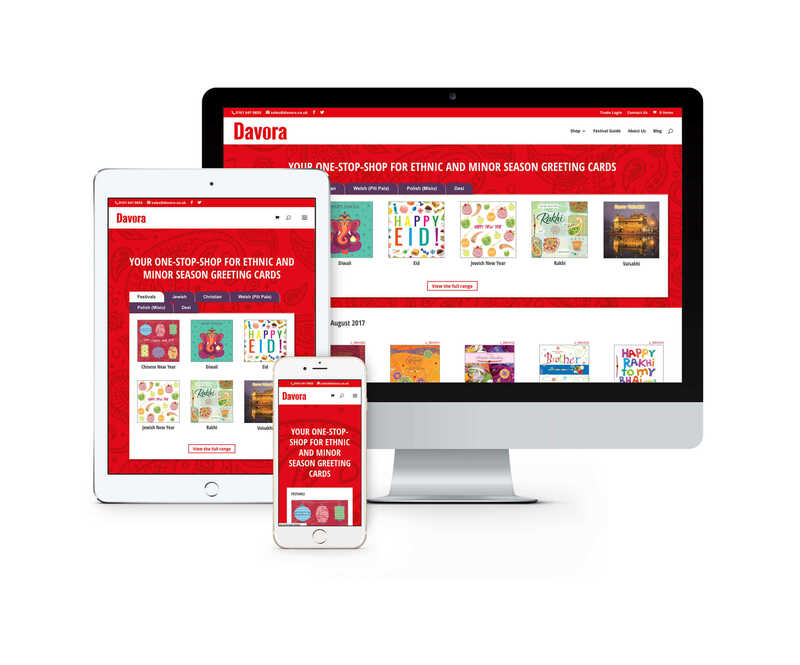 We designed this e-commerce website for Davora to allow their customers easy access to their fabulous niche range of products. Greeting cards are an integral part of British culture. Contrary to some viewpoints, the advent of Social Media has actually helped the greeting card industry in the UK. Through social media, many more relationships exist today that may otherwise have frizzled away over time. More relationships is what the greeting card industry thrives on. Davora have filled a specific niche in the market with greeting cards for Jewish, Asian and Christian occasions such as Bar Mitzvahs, Diwali, Eid, Hanukkah, Christenings and many more. The website is structured to make it easy for consumers to find the cards they are looking for. A second site for Trade only customers was also developed at www.davora.cards.